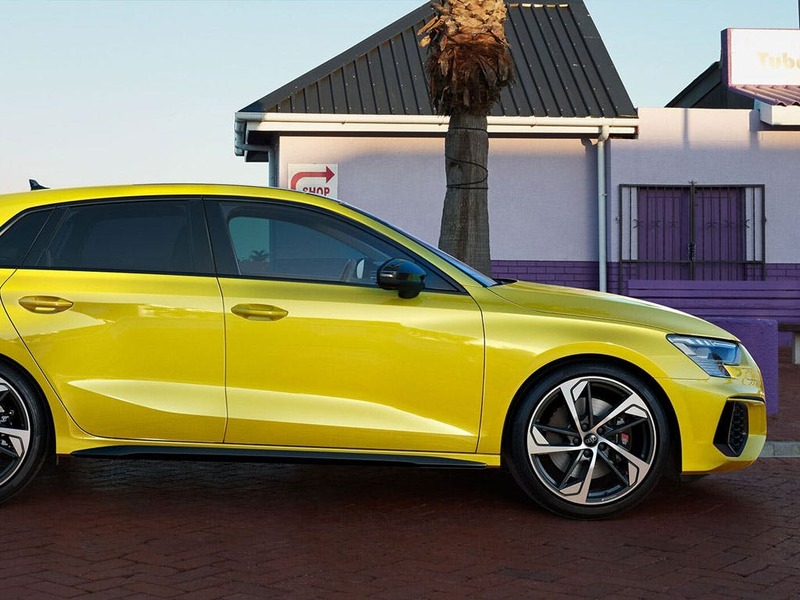 When you’re looking for something sportier than the A Sportback, the new Audi S3 Sportback has the power, the look and the specification you need. 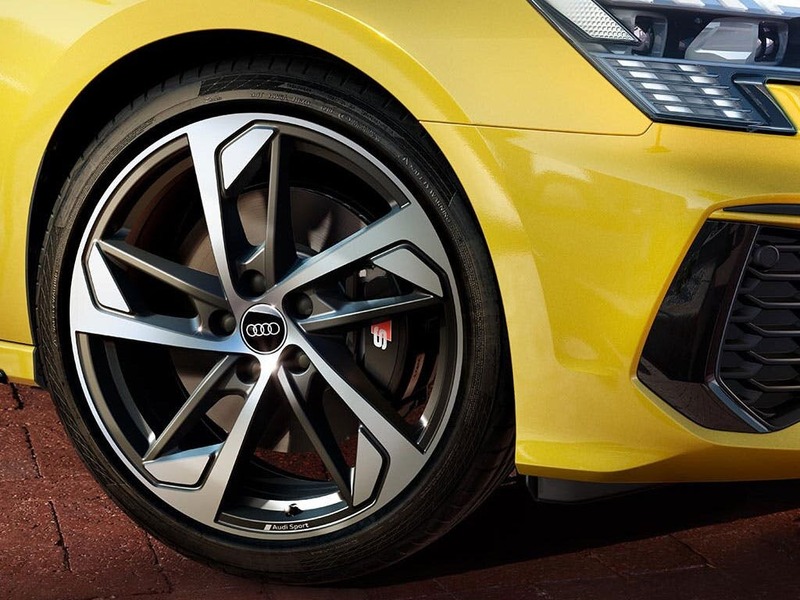 Super sharp and loaded with new technology, the new Audi S3 Sportback is set to give you even more driving pleasure with enhanced driving dynamics and in an even safer package. Visit our Audi dealerships in Essex, Hertfordshire and London to test drive the new Audi S3 Sportback. Discover all the latest Audi S3 Sportback offers currently available. Every detail matters, view the Audi S3 Sportback technical specification. Download the latest S3 Sportback brochure. Nappa heated leather seats take centre stage in a comfortable yet sporty interior, gripping superbly through bends and delivering comfort throughout even the longest journeys. The flat-bottomed three-spoke leather steering wheel places convenient controls right at your fingertips, with S tronic models featuring gear shift paddles. 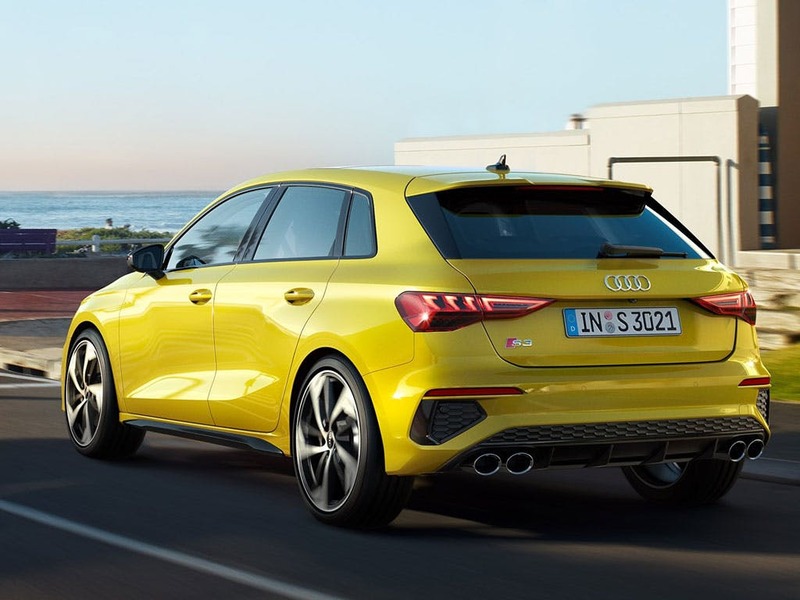 The five-door design of the new Audi S3 Sportback adds convenience for rear passengers, whilst improving head and legroom for the ultimate comfort. 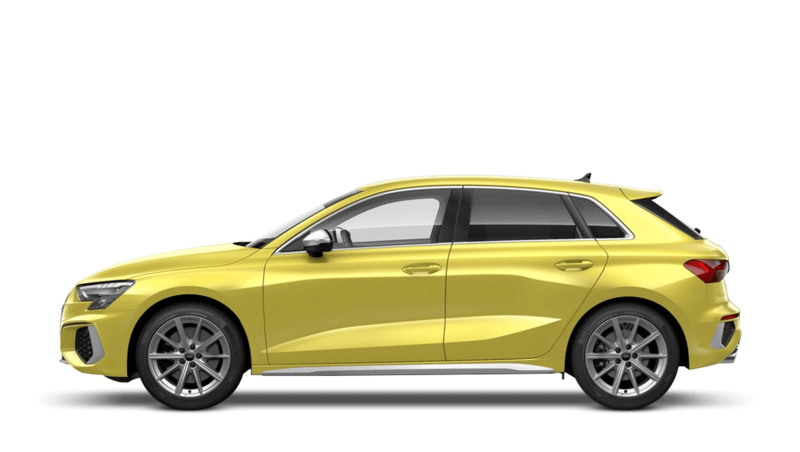 Audi's designers haven’t held back with the S3 Sportback's exterior styling, designing a number of distinctive details while retaining the brand's luxurious character. Chrome surrounds the windows, front grille and the air intake funnels that have been expertly cut into the S3 Sportback’s front bumper. The rear diffuser incorporates quad tailpipes to reflect what lies under the bonnet and each of the painted brake callipers is adorned with S3 branding. Drive Audi style with the new Audi S3 Sportback - the sharpest Audi around. The incredible technical capability of the S3 Sportback is what makes this car such a popular attraction. With its 2.0 TFSI engine delivering 310PS and the quattro all-wheel drive system, the new Audi S3 Sportback is ready to go as sportily as you like. Sprint from 0-60mph in less than five seconds with the six-speed S tronic transmission. 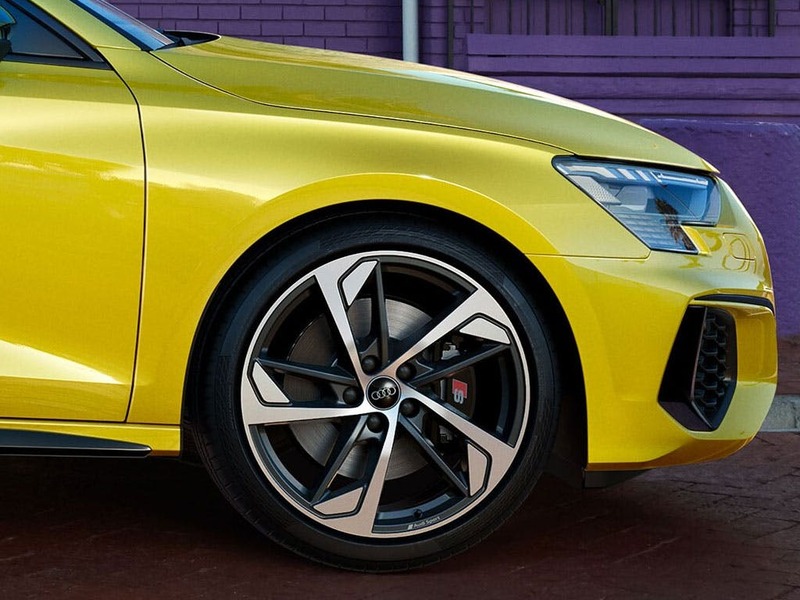 Relish the quality of the handling, as you take full advantage of the S sport suspension, lowered by 25mm and offering more direct contact with the road. 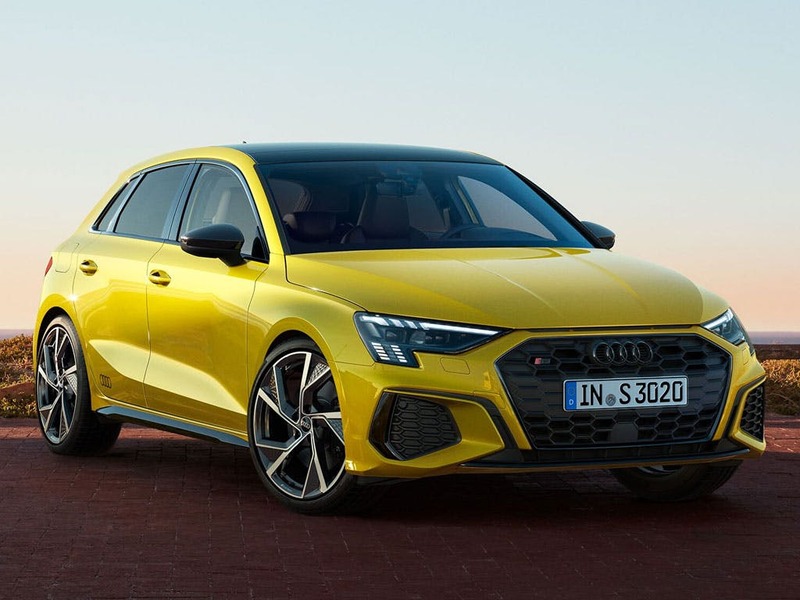 Audi's latest automotive technology has been showcased within the new Audi S3 Sportback, with top-of-the-range gadgets helping you to stay informed during each trip. Examine your driving style and journey details with the Driver's Information System (DIS), while the Multi-Media Interface (MMI) incorporates audio, telephone and sat-nav functions for ease of use. Make the most of the Audi Virtual Cockpit, giving you all the information you need right in front of your eyes. 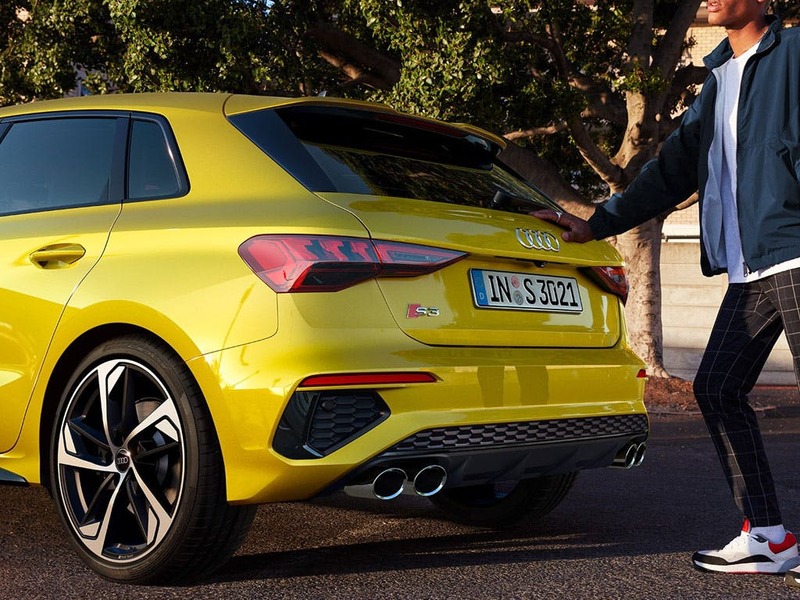 Find out just how sporty the new Audi S3 Sportback really is and book a test drive at your local Audi dealership in Colchester, Chelmsford, Chingford, Finchley Road, Harold Wood, Hatfield, Stansted, Southend, Whetstone and Watford. of customers that bought an Audi S3 Sportback would recommend to their friends and family. I would recommend Chelmsford Audi to friends and family because the service was very good and Mark Flynn went above and beyond to obtain the car I wanted as the original one I went for was sold before I could purchase but he found me a better one and was very patient. I'd endorse Chingford Audi because salesman were great! Very helpful! Can’t say anything negative about them! I'd definitely recommend Whetstone Audi to friends and family because they were very informative and explained all aspects of the buying process to me with different payment plans meeting my budget! I'd recommend Chelmsford Audi to a friend because the standard of service is amazing from the first enquiry to driving out the door ! I would recommend Harold Wood Audi to friends and family because i found them to be helpful, polite and went beyond, to resolve any issues that you needed answers to. Audi Approved Colchester were fantastic because they were friendly and knowledgeable. Minor issue with the vehicle was resolved quickly and efficiently. Thanks Harry for your help and making the process of buying my car as seamless as possible. Love the car! A very helpful and professional service. Explore the S3 Sportback specifications.